This week the Horror Duo take a look at horror video games. 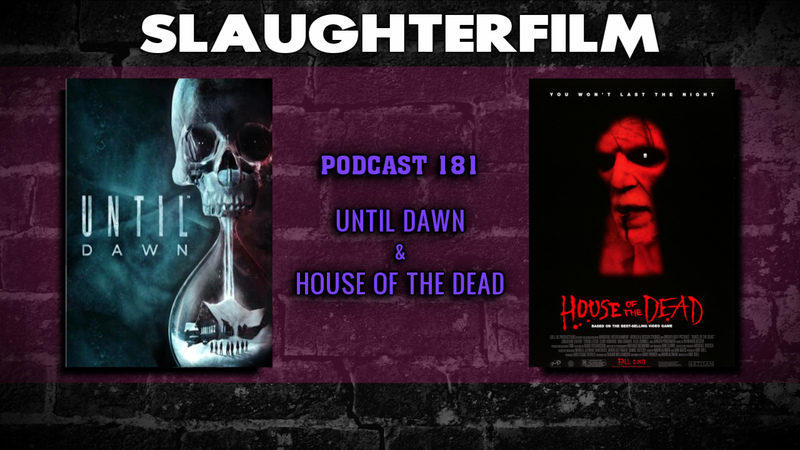 Forest reviews the slasher themed game Until Dawn & Cory takes a look at House of the Dead, the film based on the iconic Sega arcade game. Forest & Cory also chat about Creed and the extended acting careers of Stallone and Schwarzenegger, and they take in some culture at a local bluegrass show when they see Driftwood. All this and could Tremors 6 & Gremlins 3 be on the way? CORRECTION: "Until Dawn" has been compared to the work of David Cage, but was not made by him. For more Slaughter Film news and reviews, as well as show notes and special events, make sure to visit our website; SlaughterFilm.com.